See Spot surf at the Loews Dog Surfing Competition – the nation’s original surfing competition for man’s best friend. Dozens of dogs take to the waves in the small dog, large dog and tandem categories. The only event of its kind when first launched, it has grown incredibly with the 2011 contest drawing 65 competitors and thousands of spectators to Coronado’s Silver Strand State Beach. This event is family-friendly and appeals to animal lovers of all kinds. It also draws expert surfers who participate in the tandem event and perform amazing tricks on the waves. New this year, the winner of the Ultimate Champion Round will become the 2012 “poster dog” for Loews Hotels! The star treatment includes a professional photo shoot and lunch. The featured photos will be showcased on Loews Hotels’ official website as well as the 2013 Loews Surf Dog Competition website, t-shirts and fliers! This popular competition is an extension of Loews Hotels’ award-winning Loews Loves Pets program and has become a hugely successful fundraiser for non-profit organizations. Loews Coronado Bay Resort, with the help of its surf dog heroes, has set a personal goal to raise $10,000 this year. This event is free to attend and watch. To enter: $50 for Divisions One or Two, $55 for Division Three. Fees also include a competition medal and a great goody bag filled with treats. All proceeds benefit the resort’s non-profit partner. 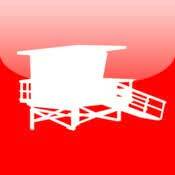 Heal the Bay’s Beach Report Card app puts the only comprehensive, weekly analysis of coastline water quality for the West Coast at your fingertips. Now, any time and anywhere, you can get access to A to F grades for the health risks of swimming, surfing or playing at more than 650 beach locations in California, Oregon and Washington. Use the Beach Report Card to find out which beaches are safe and unsafe for you and your family; check the weather; look up water quality history for any beach during dry or rainy seasons; keep your own list of Favorites; view comments, photos or videos from other beach goers; and share your own tips and feedback. Remember, a day at the beach should never make you sick. Before you dive in, find out if there’s an increased risk of getting a rash, ear infection or even diarrhea at that beach. The lower the beach’s letter grade, the higher your risk of getting sick! Download Heal the Bay’s Beach Report Card, because you can’t tell if your favorite beach is safe just by looking at it. 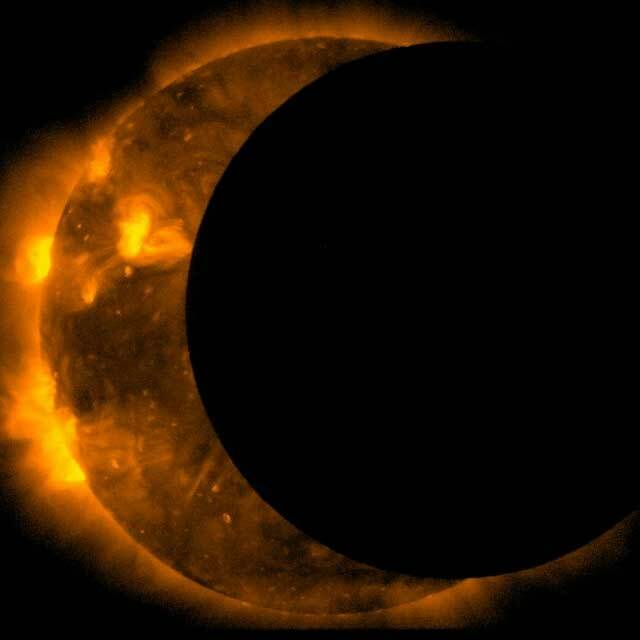 Image from space, thanks to the joint JAXA/NASA Hinode mission. 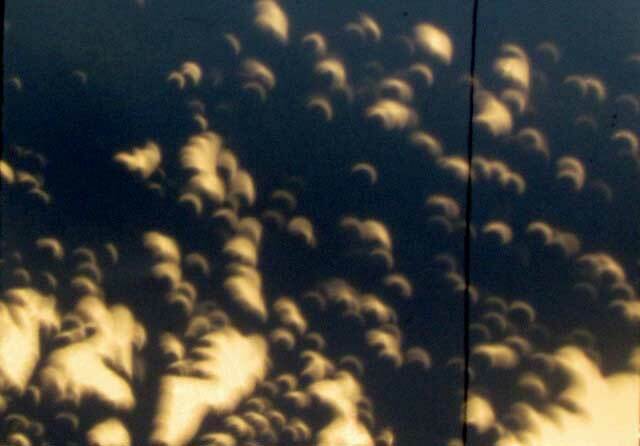 Shadows cast by a tree created multiple pinholes, all of which projected images of the eclipse on the ground.